Anu's Institute of Spoken English at Uppal (Near Gandhi Statue) has launched Spoken English classes for the aspiring candidates. The duration of the course is 45 days and the fee for entire course including study materials / handouts is Rs. 1995/-. 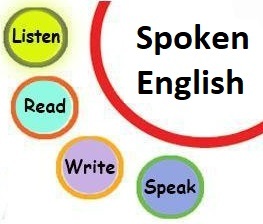 The timings for Spoken English classes are scheduled from morning 8 AM to 1 PM. Candidates can choose any one hour between these time schedules. Each batch will have only 10-15 students to give special attention. Address: Anu's Institute of Spoken English (C/O Anu's Institute of Computers, Near Gandhi Statue, Uppal.